Destiny Archer currently is a 5th Grader and on the B Honors Roll. She started cheering for the Spirits at the age of 5 and still remains on the squad. Her Extra-Curricular Activities and Community Involvement include being a member of the GSBC Youth Ushers where she will serve as President in 2016 and participating in dance. Her personal aspirations are to be a teacher and she loves to dance and sing. 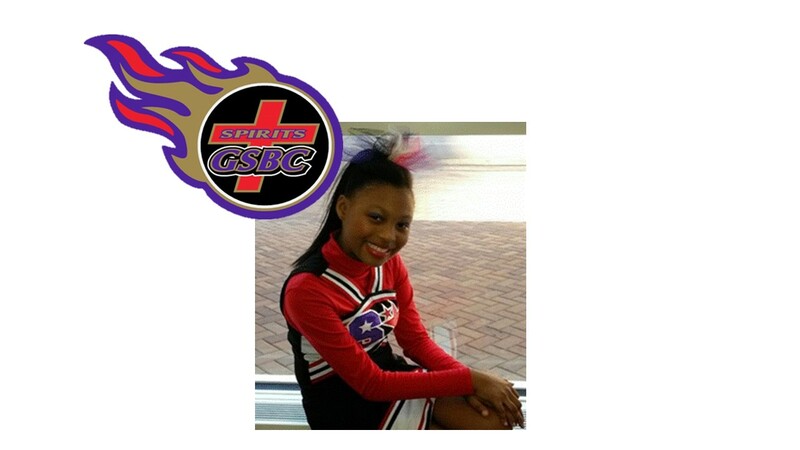 Destiny absolutely loves the GSBC Spirits Cheer program which afforded her the opportunity to learn the sport of Cheering. She made friends as well as learned about dedication and hard work and how to present herself in a positive manner. She participated in competition cheering and learned to appreciate the hard work and commitment it takes to be successful when competing against other good squads. She has been a core member of five GSBC’s award winning cheer squads. He mother states, “Learning to compete improved her self-esteem and showed her that if you work hard you can achieve success.” Since Destiny has several years of eligibility left, there will be many more opportunities to succeed.